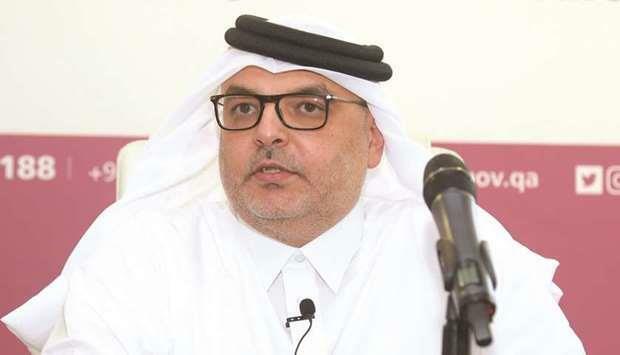 (MENAFN - Gulf Times) Local manufacturers and small and medium-sized enterprises (SMEs) have played a significant role in the completion of Al Majd Road, Qatar's largest infrastructure project under the Public Works Authority (Ashghal), a senior official has said. Ashghal president Dr Saad bin Ahmed al-Mohannadi stressed that because local suppliers were instrumental in providing the materials needed by Ashghal, the economic blockade 'had no impact on Al Majd Road project. 'Local suppliers were one of the key elements in the delivery of the project, and they were able to provide many of the materials that we needed, which is why the economic blockade did not have any impact on Ashghal's infrastructure projects, al-Mohannadi told Gulf Times. Immediately after the blockade was imposed on Qatar in June 2017, Ashghal made it possible for companies here to participate in the various infrastructure projects being implemented in the country. To do this, Ashghal, in collaboration with Qatar Development Bank, launched ‘Taheel', an initiative that relies on Qatari capacities, resources, industries, and local workforce. Aside from encouraging the private sector to build new factories, Taheel enlists Qatari manufacturers in Ashghal's approved supply chain, in addition to accrediting local industrial products that meet the technical requirements, specifications, and the standard quality levels. 'What Qatar has achieved amid the economic blockade could serve as a model or a case study because it did not have any impact on our projects, particularly Al Majd Road, which is the largest infrastructure project in the country. If not for the blockade, we didn't realise how strong Qatar is, al-Mohannadi emphasised. It has seven lanes of free-flow dual carriageway from Mesaieed to Al Khor that will accommodate over 14,000 vehicles per hour in each direction. It will also serve as the main artery of Qatar's road network and provides access to 2022 FIFA World Cup stadiums.